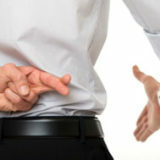 Home » Bad Faith » Insurance company to stand trial for bad faith negotiations. On May 17, 2018, the Manitoba Court of Appeal dismissed an appeal from an insurance company’s unsuccessful application for summary judgment to dismiss a claim brought by its insured. In 3746292 Manitoba Ltd. v. Intact Insurance Co., 2018 MBCA 59, the insured was the owner of a mixed-use property in downtown Winnipeg consisting of residential apartments and commercial space. In 2010, an accidental fire caused significant damage. A dispute arose over the cost of repairs and the amount of a co-insurance penalty. The parties negotiated a settlement, and the insured property owner signed a release in favour of the insurance company. The property owner became concerned about the fairness of the settlement and subsequently brought an action against the insurance company alleging that it made “lowball” settlement offers in breach of its duty of good faith. The insurance company made a summary judgment application seeking to dismiss the action. The Chambers judge held the allegation of bad faith could not be resolved without a trial and the insurance company appealed. The Court of Appeal could not identify any error arising from the judge’s refusal to grant summary judgment. The court was not persuaded that the judge misdirected himself or came to a conclusion that was so clearly wrong as to amount to an injustice by deciding that it was necessary to hear viva voce evidence at a trial as to the motivations and intentions of the insurance company and its agents about whether the insurance company acted even-handedly in the claims-handling process or, alternatively, that there was an attempt to unreasonably leverage its bargaining position to settle the claim by lowballing the cost of repairs during the lengthy claims process. The matter will go to trial.